Application Delivery Foundation for z Systems is a suite of integrated, full-feature tools, all built on the Aqua release train. Each of these tools can be obtained individually, and have been optimized to help you design, build, test, and debug z/OS software so that you can make the most of your investment. 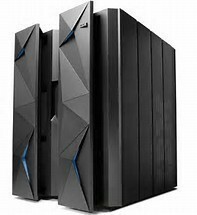 These tools include IBM z/OS Explorer, IBM Fault Analyzer for z/OS, IBM File Manager for z/OS, IBM Developer for z Systems Enterprise Edition, and IBM Application Performance Analyzer for z/OS. Each tool contributes necessary functionalities in one interface, covering the spectrum of capabilities that programmers need to develop z/OS software. Work for IBM Application Delivery Foundation for z Systems? Learning about IBM Application Delivery Foundation for z Systems? "Enterprise class, delivers at every turn"
* We monitor all IBM Application Delivery Foundation for z Systems reviews to prevent fraudulent reviews and keep review quality high. We do not post reviews by company employees or direct competitors. Validated reviews require the user to submit a screenshot of the product containing their user ID, in order to verify a user is an actual user of the product. Hi there! Are you looking to implement a solution like IBM Application Delivery Foundation for z Systems?